Update 3/24/17: Today Google announced several Gmail Labs to be retired sometime after 4/24/17. One of those will be the Google Voice player and thus this post will no longer be relevant. See full announcement here. Previously I had written about how you can receive your voicemails in your email. That feature essentially gave you the transcription and a link to take you to Google Voice so you can then listen to the voicemail. 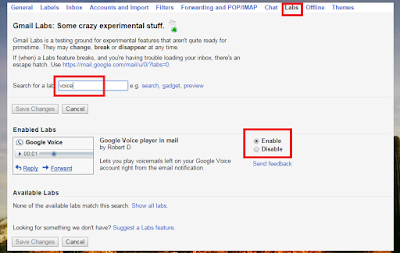 However, there is a way you can listen to the voicemail right from your Gmail inbox without having to leave Gmail. This feature is only available in Gmail, not in Inbox by Gmail, and comes to you via way of a Gmail Lab. All you have to do is go to Settings, Labs, search for Voicemail, and enable the lab entitled Google Voice Player in Gmail. After enabling this Lab, make sure you click Save Changes at the bottom of the screen. 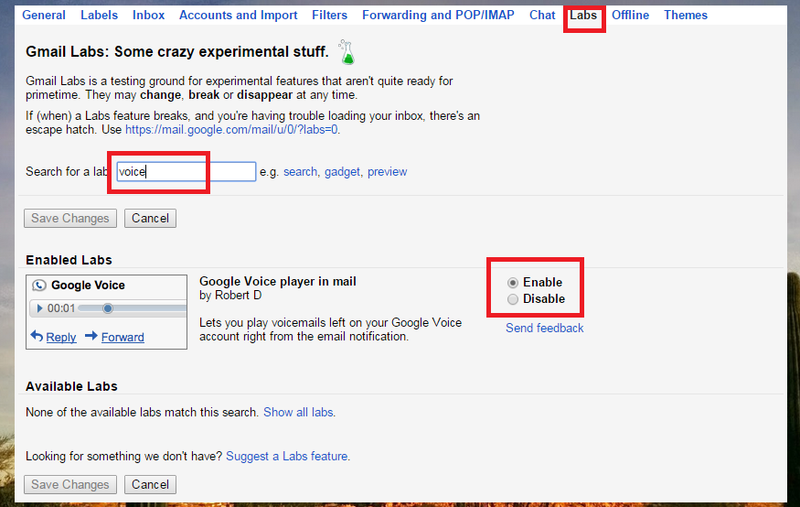 This will not be possible unless you enable email notification of voicemail in your Google Voice Settings. You can from the second image that you will now still have the attempted transcription and a Play Message link. This link brings you to Google Voice. But as you can see, below that you have a Google Voice Play Message section. Just click play and the message will play right inside the email, no redirect, no download, no plugins to install. It should be noted, that this will work for any Google Voice #, not just Project Fi accounts.